In a recent post I mentioned that I am rereading my favorite book The Agony & the Ecstasy. It just happens that at this point in the book Michelangelo has received the commission to carve what will be come David. He received this commission on August 16th, 1501 and began carving in early September. He was 26 years old at the time. How big was this slab of marble? I wrote about this previously. See the illustration below. No one wanted the marble. No other artist would touch it saying that it was damaged. Leonardo DaVinci felt sculpting was a menial task and didn’t want the commission. But from the time he was a young teenager, Michelangelo had dreamt of “freeing the figure inside”. Michelangelo knew the block was good, he begged the city for the commission. Florence owned the block and decided that they needed a new symbol after the years of torment from Savanarola. Finally they gave the commission to him after a patron took him to Siena and the city realized that they should have their own sculptors working for them. 3 copies of the original David. On the left, the one that now stands in front of the Signora. On the right; 2 of only a handful of bronze copies made from the original. 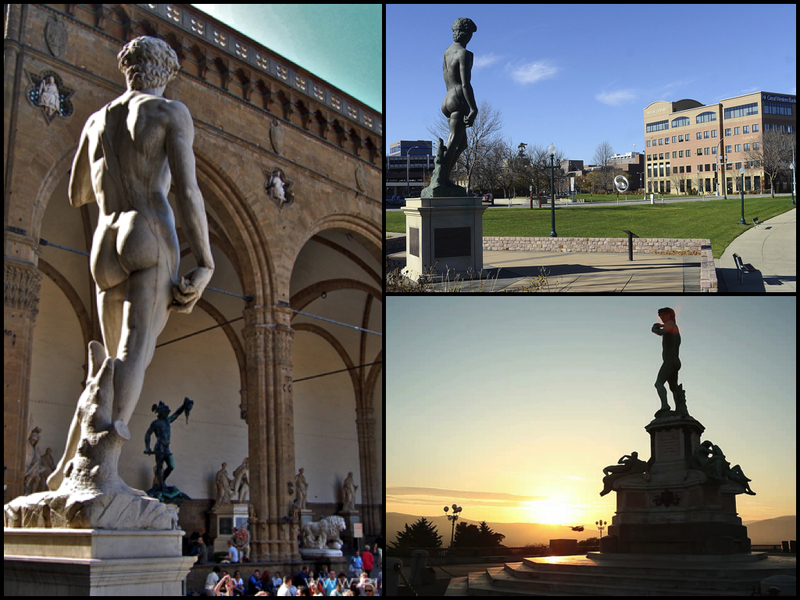 Sioux Falls, South Dakota on the top, and the Piazalle Michelangelo overlooking Florence. The Piazalle is a beautiful spot that gives an amazing view of the city. 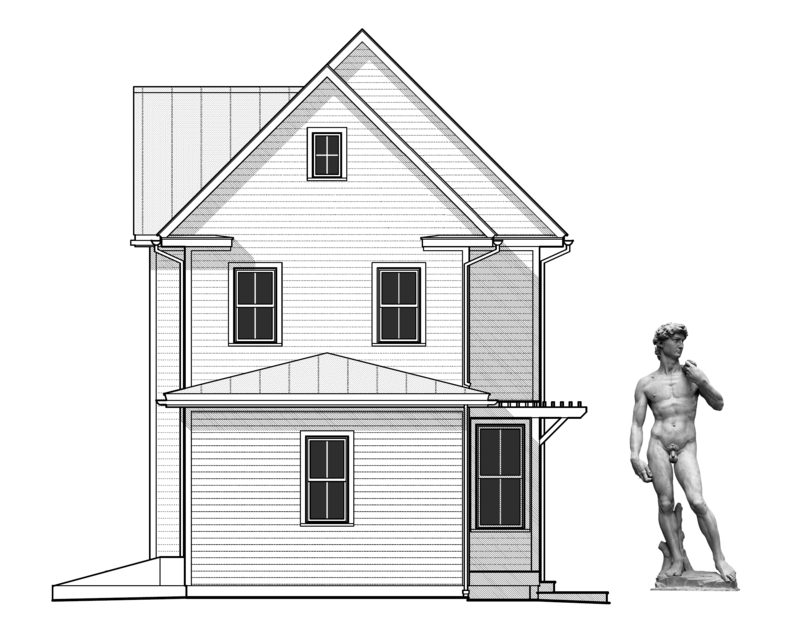 It would take Michelangelo 3 years to finish “The Giant”. It was unveiled in front of the Signora, the city hall of Florence on September 8th, 1504 and it rejuvenated a city that had struggled since the death of Lorenzo di Medici. The original was moved to the Florence Academy of Art 1873 after it was damaged. In 1910 a copy was put in it’s original place. Later I will discuss how completely different Michelangelo’s interpretation of David was compared to previous versions.